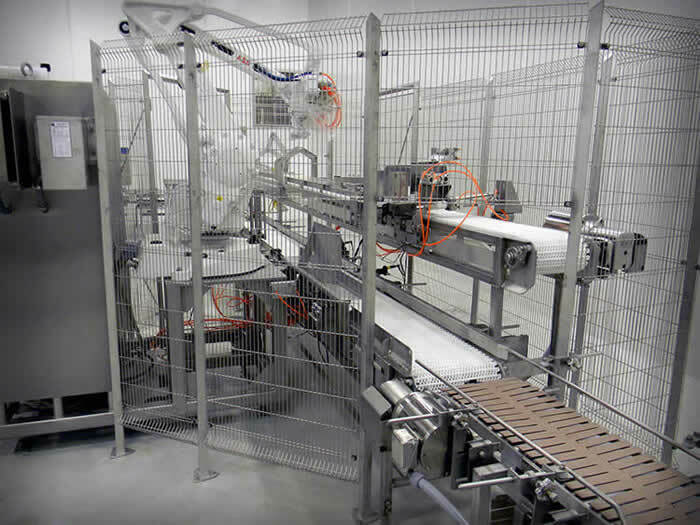 QComp's space-saving Robotic Solo Case Packer Cell packs individual products into a shipping case or container at a rate of up to 30 layer picks per minute. 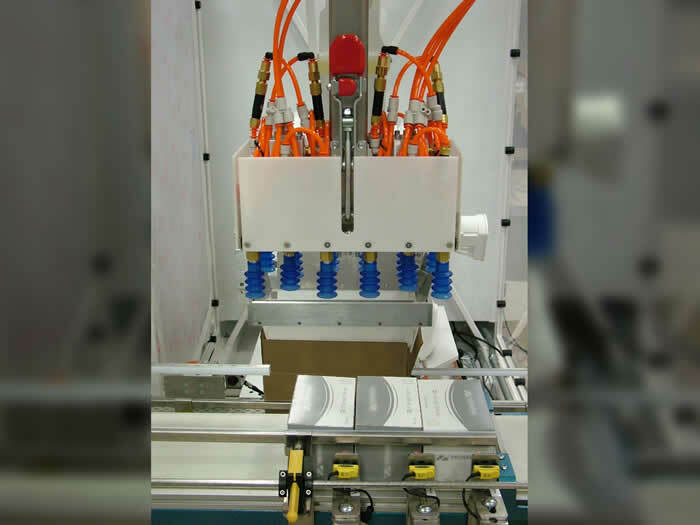 This robotic packing system was designed to provide a robust and reliable packing method that also provides flexibility to accommodate constant product changes by marketing or complete redeployment for new products. The system is modular, portable and pre-engineered offering the best value possible. 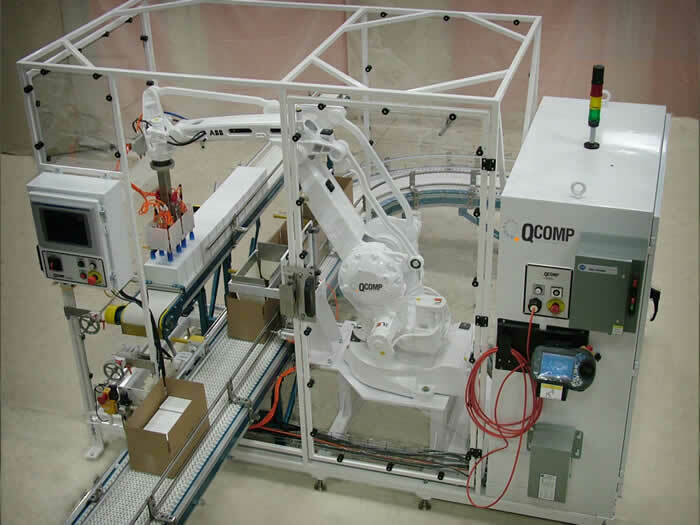 QComp offers a complete turnkey solution to reduce production costs and increase your bottom line. Single point guide rail adjustments. Safe. Meets highest RIA and ANSI standards. 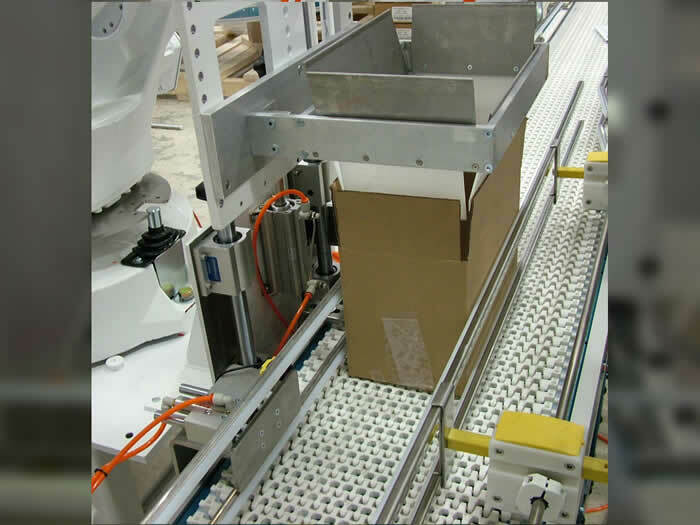 Economical way to automate manual packing. Gentle handling of products. Consistent and provides inspection and data collection. Has a stand-alone control system for easy changeovers. Built on a common frame for easy Install and start up. 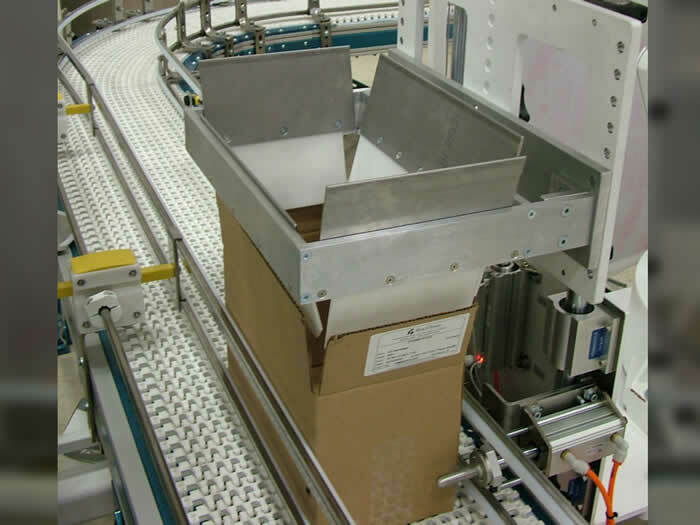 Pre-engineered solution for fast ROI. Save floor space compared to other hard automated units. Free workers to focus on higher-valued tasks.